George was born in 1875 at Havant, Hampshire, to parents George Richard Standing and Emma Jane Till. His father was a local preacher, successful businessman (grocer) and Justice of the Peace. George was trained in Bedhampton Sunday School and influenced by Rev William Cuthbert to think of ministry. He entered Hartley College in 1898. George was one of the preachers at the Great Centenary Celebrations on Mow Cop. 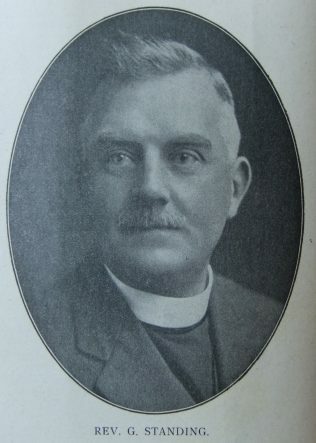 Follow the link for information about his work as a WW1 Chaplain and service after the war. George was the first PM Minister to be commissioned and go to France. In retirement George returned to Havant and continued to preach in the area. Almost to the end of his life he visited weekly the cottage hospital which his parents had largely been instrumental in building. 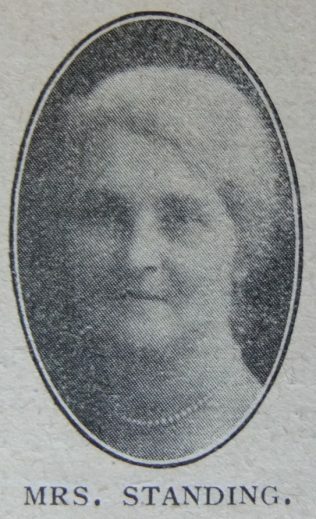 George married Kate Ella Fielder (1873-1961) in early 1905 at Havant, Hampshire. George died on 6 January 1966 at Havant, Hampshire.